Welcome to Casa Cook! This home is managed by MySanFelipeVacation - San Felipe's #1 stop for all your vacation rental home needs. This amazing house is located on one of San Felipe's best beach side communities - Villas de Las Palmas. Villas de Las Palmas community is located approximately 5 minutes drive South from downtown San Felipe. Shortly past the Port of San Felipe, you will see the sign welcoming you to Villas de Las Palmas community. Enter the community, make a right turn onto "Paseo de las Palmas," and you would have arrived. If you like to enjoy San Felipe's south beaches, then this is the right property for you. This unit features 3 bedrooms. Two of the bedrooms are on the ground floor and the 3rd bedroom is on the 2nd floor. The first bedroom has two single beds and the second has a queen size bed. The 3rd bedroom, which is the master bedroom on 2nd floor has a queen size bed. The living room is very spacious and comfortable, the dinning room is a nice place to enjoy a nice meal with family and friends. If you step out to the deck, you will encounter with amazing views of the Sea of Cortez. The garage fits a vehicle while a 3rd can be parked on the street in-front of the house. This house is equipped with A/C, also has towels, but guest must bring beach towels. This home comfortably sleeps 6 guests, however, maximum occupancy is 10 guests. If you will be more than 6 guests, up to maximum occupancy of 10 guests, please bring an airbag or two. 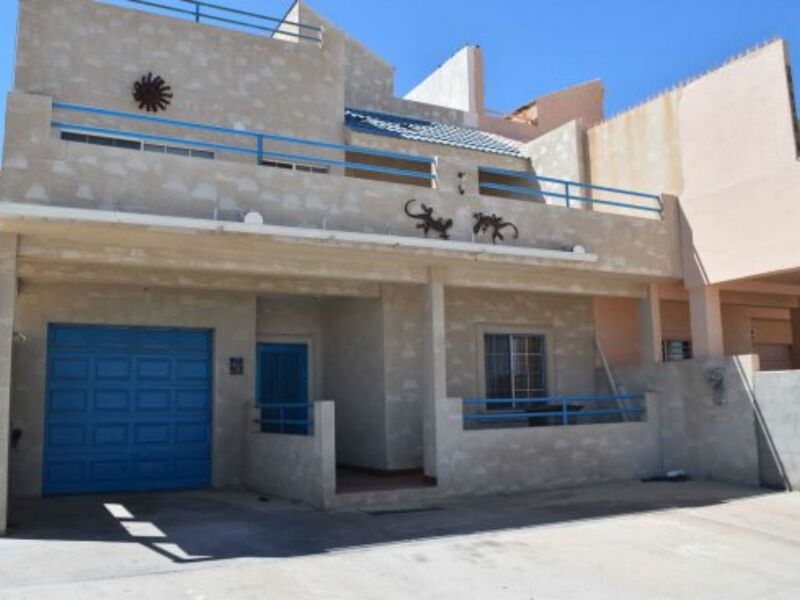 This home is managed by MySanFelipeVacation - San Felipe's #1 stop for all your vacation rental home needs.